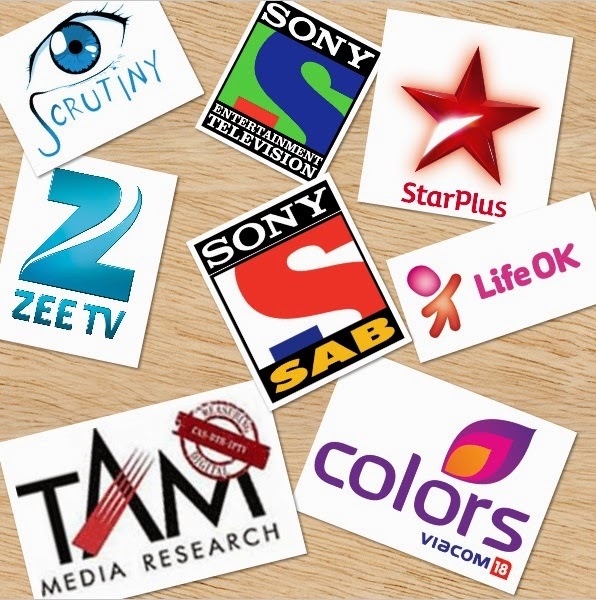 Scrutiny: TAM Ratings Week 50, 2014: Colors & Zee TV witnessed a dip..
TAM Ratings Week 50, 2014: Colors & Zee TV witnessed a dip.. Leading Hindi general entertainment channel (GEC) Star Plus has seen a gain of 19 GVMs (gross television viewership in millions) in its viewership in the week ended 13 December. Colors and Zee TV, meanwhile, witnessed a dip of 26 and 21 GVMs respectively. SAB has narrowed the gap with Star India’s second Hindi GEC Life OK and the two stand neck and neck with a difference of 1 GVM only. The only change in the pecking order came from Zindagi, which replaced Sony Pal at the seventh place, as per TAM data for the Hindi-speaking markets for Week 50. Star Plus remained at the top with 661 GVMs, up from 642 GVMs in the trailing week. Colors was at No. 2 with 450 GVMs, down from 476 GVMs. Zee TV was No. 3 with 398 GVMs, down from 419 GVMs. Life OK was fourth with 289 GVMs, down from 296 GVMs. SAB was at No. 5 with 288 GVMs, up from 281. SET was at 6th with 229 GVMs, up from 226. Zindagi was at No. 7 with 33 GVMs, slightly higher than its last week’s tally (31). Sony Pal was No. 8 with 31 GVMs, down from 33 in the trailing week. Sahara One was at No. 9 with 8 GVMs, compared to 10 in the previous week. Epic clocked 6 GVMs, up from 4 in the previous week. JODHA AKBAR rocks!!! Love RAJAT TOKAS n PARIDHI SHARMA!! I doubt on the trps nw.. last week was it at 6.3 trp?? dat means it was at no.1 position??? coz last week diya baati was 6.2 trp..